For centuries, the five greatest kingdoms of North and South Tembria, twin continents on the world of Garn, have coexisted in peace. But the balance of power is destroyed when four of the kingdoms violate an ancient covenant and betray the fifth: Ithrace, the Kingdom of Flames, ruled by Steveren Langene, known as "the Firemane" for his brilliant red hair. As war engulfs the world, Ithrace is destroyed and the Greater Realms of Tembria are thrust into a dangerous struggle for supremacy. As a Free Lord, Baron Daylon Dumarch owes allegiance to no king. When an abandoned infant is found hidden in Daylon’s pavilion, he realizes that the child must be the missing heir of the slain Steveren. The boy is valuable—and vulnerable. A cunning and patient man, Daylon decides to keep the baby’s existence secret, and sends him to be raised on the Island of Coaltachin, home of the so-called Kingdom of Night, where the powerful and lethal Nocusara, the "Hidden Warriors," legendary assassins and spies, are trained. 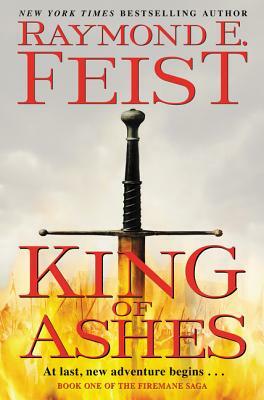 Raymond E. Feist is the multiple New York Times bestselling author or coauthor of thirty previous books—all but one of which are Riftwar Cycle novels. He lives in San Diego.